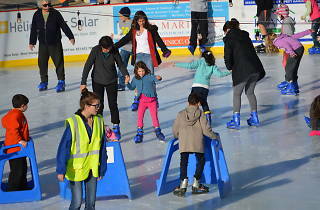 Festive skaters at Marin on Ice can enjoy 6,400 feet of real ice while snowflakes are projected onto a neighboring wall. 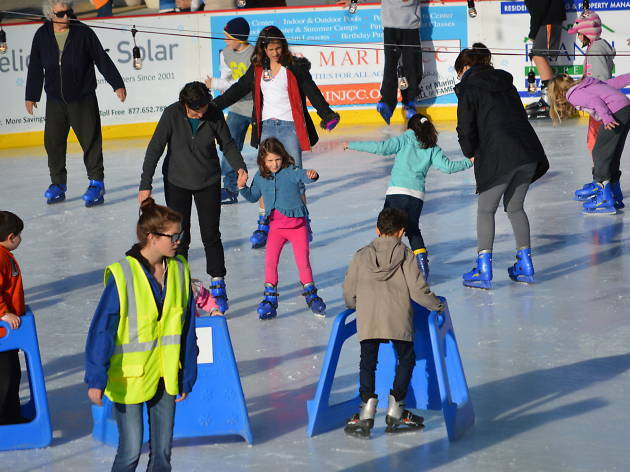 Now in its fourth holiday season, it's the only outdoor skating spot in the North Bay, however, organizers also run sister rinks in San Mateo and Napa. Northgate Mall, 5800 Northgate Parking Lot, San Rafael. Nov 9th-Jan 8th. 2pm-9pm Mon-Thurs; 2pm-10pm Fri; noon-10pm Sat; noon-9pm Sun. Beginning Dec 19, weekday hours expand. $13-$15.